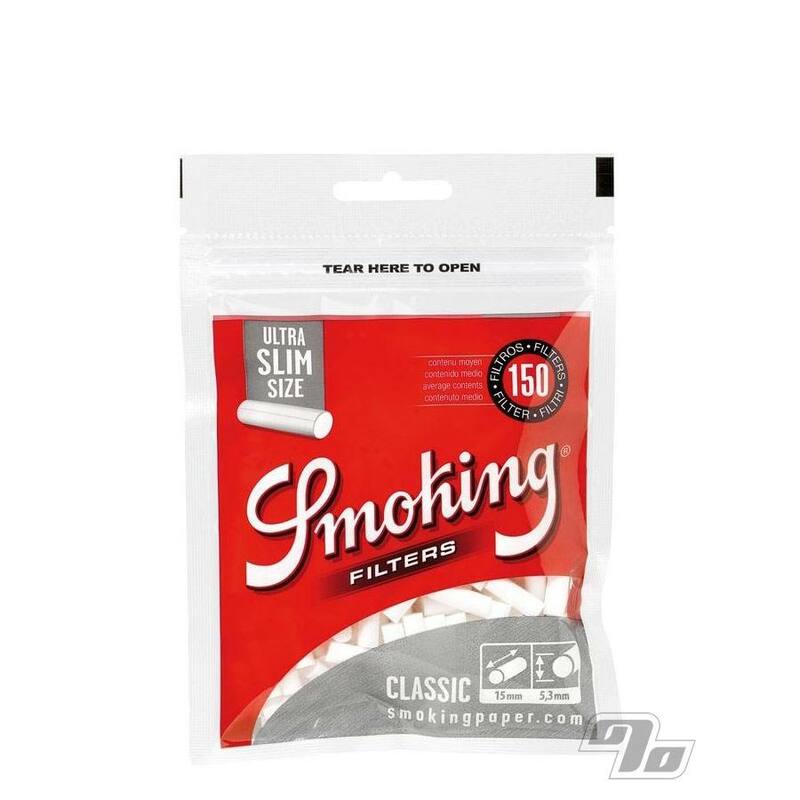 Keep your hand rolled smokes Ultra slim with these Smoking Classic Ultra Slim Filters in a bag of 150 cigarette filters. These Ultra slim filters from Smoking brand papers come in a handy resealable bag with enough filters for the equivalent of 7.5 cartons of smokes. Smoking Classic Ultra Slim Filters are sized 15mm in length and 5.3mm in diameter, suitable for the slimmest of roll-ups.